To say that I’m jealous of Erica and Karen’s adventures in Spain would be an understatement. Don’t get me wrong, it’s a well deserved trip, after months of studying for the Bar exam. And while I’ve never studied for the Bar, I’ve studied in several bars in my life. Just sayin’ . . . Anyway, I suppose if I’m not off with the ladies in Spain the least I can do is fake it, right? I present to you the kalimotxo, aka, red wine and coke. Hey, don’t knock it ’til you rock it! This curious combo is a Spanish staple, and frankly just what I look for in a drink: namely, simple and delicious. Plus, it’s got sort of a Dr. Pepper thing going on – nothing wrong with that. Give it a go, and tell me what you think!! 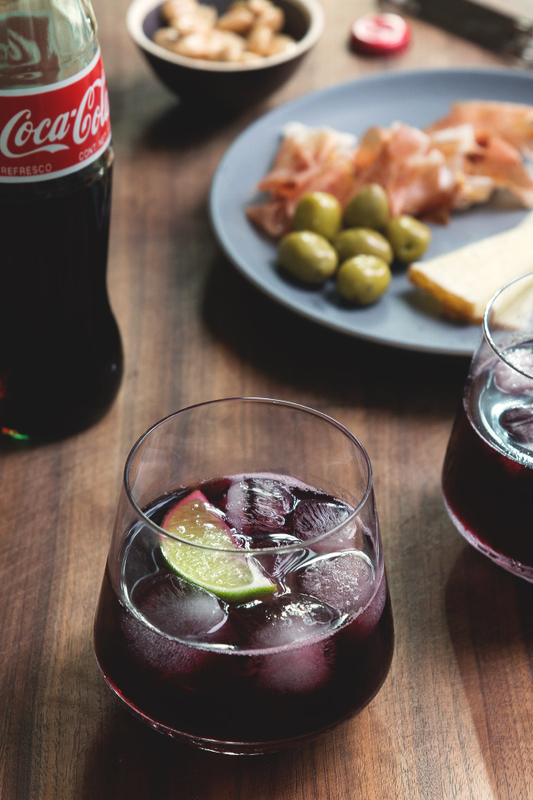 Add equal parts red wine and coke into a glass full of ice and serve. Don’t forget the tapas! Add equal parts red wine and cola into a tumbler full of ice and serve. I usually adore all the drinks on your blog…but this is definately a no no! This is what skint teenagers drink to get pissed! Wouldn’t be caught dead with this now I’m all grown up! Ooh I wonder why it isn’t a staple here! It sounds awesome! I tried this when I was in San Sebastián this summer during the San Fermín festival! I was told it was a specialty in the Basque region, especially San Sebastián. It was delicious! My friend went to Spain and talked about drinking “tinto de verano” or red wine with fresca (or any lemony soda like sprite or 7up). We tried it at home, it was refreshing and very sangria like. Once again you have me totally intrigued! I will be trying this ASAP! Todd – you are killing me with these! Total blast from the past. 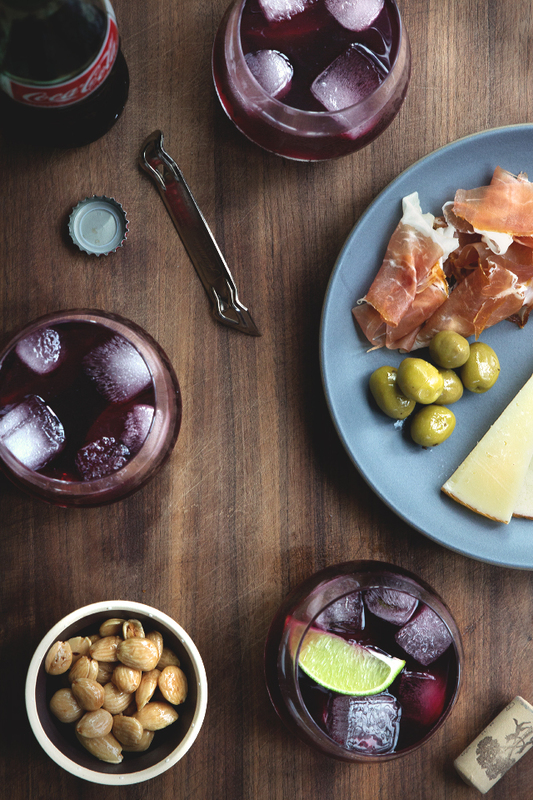 When I studied abroad in Spain many years ago, we used to drink Kalimotxo with our Spanish friends all the time. 1 euro / box red wine from the grocery store and a big bottle of coke. It’s the Spaniard’s Jungle Juice! Ya, I am jealous too, but at least we have these pretty drinks to ring in friday! Weekend Toast: 3-ingredient cocktail recipes for the win.